Note: Since FCI of Belgium and CBKC are much discussed in this article, this email was sent in English primarily for these two clubs. This is my second article on the Fila’s temper and seeks to complement my post # 32 — Uncle Chico Informs # 15 — which is on my blog at https://filabrasileirochicopeltierblog.wordpress.com/2012/08/21/post-no-32-tio-chico-informa-no-15-enviado-em-200812/. In this article I defended the thesis that many dogs with Fila Brasileiro pedigree do not have the typical and characteristic temperament of the Fila Breed, since many of these dogs still suffer from miscegenation with dogs of other breeds, notably the English Mastiff, Neapolitan Mastiff and Great Dane. As we all know, these three Breeds, which were the most used breeds in miscegenation with Fila, have a docile temperament and their behavior is a lot gentler than the Fila’s and accept strangers. Therefore, I defend the thesis that one cannot expect that all Fila pedigree dogs suffering from this miscegenation, have the typical characteristics of Fila, especially with regard to “ojeriza” to strangers, which I wish to address with more emphasis in this article. Thus, I argue that the “ojeriza“, this characteristic that is typical and innate of the Fila breed, is also preserved and duly maintained in the breeding of Fila-CBKC, advocating the return of the TT `s in all their exhibitions. Moreover, as practiced successfully in CAFIB for the last 35 years. A lot has been said about the typical, unique, innate, traditional and spontaneous Temperament of “ojeriza” that is noted in Pure Fila dogs with regard to strangers. I think that is the only Breed in the world that does not need and should not be trained and taught, except for educational concepts of behavior, but not for attack or the so-called TT`s. Conclusion: It clearly defines the Fila’s behavior toward strangers, which is of “ojeriza“. It mentions “protection of property” and further that “at the exhibitions they do not allow being touched by the judge.” Besides, it mentions the mandatory “temperament tests“. (I.e. : TT). Conclusion: It clearly defines “ojeriza to strangers” and also allows the Fila to attack the judge. “It is characterized by aversion to strangers… And true to property guarding… “. Conclusion: It was replaced the strong, firm and undisputed characteristic of “ojeriza” for “version”. It should be noted that in some dictionaries “aversion” is presented as a synonym for “ojeriza” despite a much softer connotation that we find in the word “aversion“. “One of its characteristics is its aloofnesstowards strangers … An unsurpassed guardian of properties …”. Well, my friends, I really do not know what would have caused a renowned and highly knowledgeable person of dog-breeding person, such as Raymond Triquet, also known as the Father of the Dogue de Bordeaux, one of the best translators of the FCI, to commit such a serious mistake. After all, how could anyone translate the word “aversion” for “indifference“? I will tell you more: If I was a member of the Fila-CBKC, a member of SPFB and furthermore, a leader of SPFB, I would question CBKC immediately. And if CBKC did not answer me, which is very probable, it would question FCI- Belgian directly on this amazing translation misconception. Or alternatively, if any, SPFB and/or its leaders would post the explanation for this curious translation on the SPFB site. Querying some European friends, I got a logical explanation, but I do not know if this is true for this, let’s say, “adaptation of the original Standard of the Fila for European needs“. I. e., with the advent of the FCI of Belgium by socializing the dogs that have a stronger temperament, mainly aiming at their presentation at shows and exhibitions, mainly in Western Europe, base of this FCI of Belgium, the Standard of the “European-Fila” unfortunately suffered, say, an adaptation. Or, further: suffered the famous European knack or rather, suffered the “Belgian knack “… (LOL). Translating “aversion” simply for “indifference and mistrust” FCI of Belgium turned into extremely docile the temperament of the Fila Breed to their interests and needs for Fila’s participation in shows and exhibitions. If this explanation is valid, the FCI of Belgium did not bother to break, at least in the Standard, the typical and unique temperament of a foreign Dog Breed. If this, say, “adaptation“, was made according to the regulations of the FCI of Belgium and the CBKC and also with the knowledge and consent of the CBKC, I do not know. Certainly my blog is at the disposal for any clarification that can be provided by Hans Muller, president of FCI of Belgium and by Sergio de Castro, president of CBKC, as well as by Ricardo Simões, President of the Board of Referees of CBKC as well as the famous breeder and FCI of Belgium translator Raymond Triquet. However, it is hard for me to believe that a foreign dog-breeding club, such as FCI of Belgium or even CBKC, both without any connection with the Brazilian Government, or even with the Brazilian Ministry of Agriculture (which rule and control animals in Brazil), have any power to change the natural and typical characteristics of a Brazilian animal. 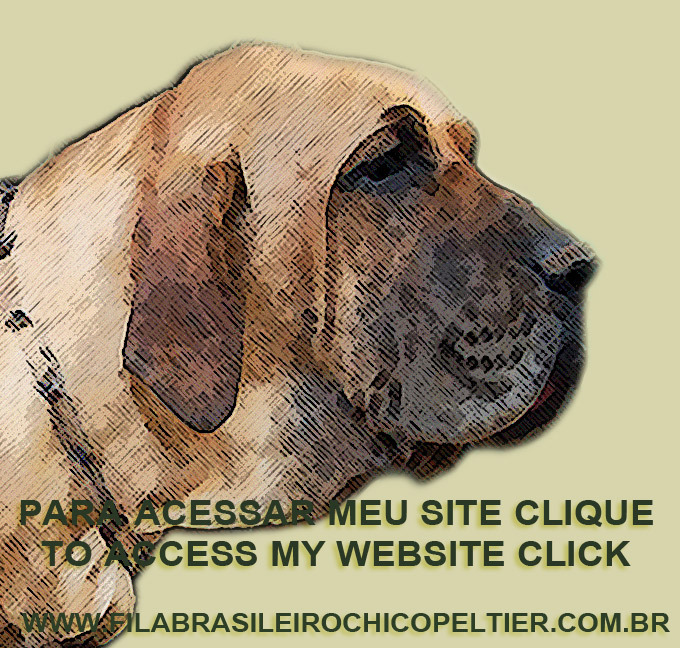 That is, I wish someone would explain to me what legal instrument and for what valid and plausible reasons the unique temperament of the Fila Brasileiro, which was so well-defined by the CAFIB Master Breeding and Father of the Fila Brasileiro, Dr. Paulo Santos Cruz, with the simple choice of the word – “ojeriza” – later changed by CBKC to “aversion”, could have been so modified, or better, actually suppressed, in the present Standard of the Fila, according to FCI of Belgium in their versions in English and Spanish, since “indifference and mistrust” have absolutely nothing to do with “aversion”. 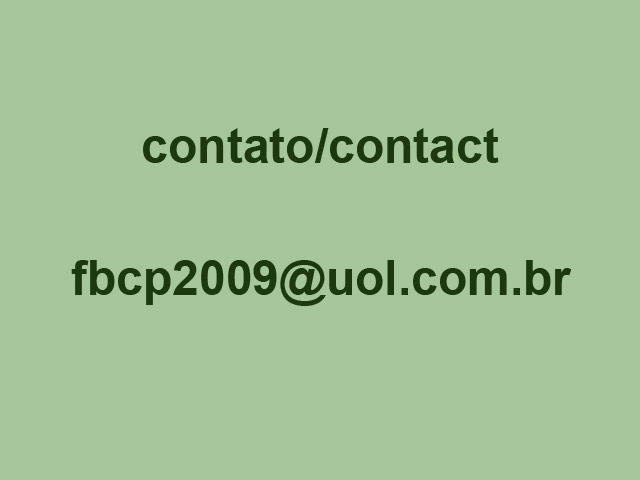 That is, the main question that I ask from you guys is: can a simple unofficial club such as CBKC, which does not represent the Brazilian State, which twice lost its prerogatives with the Ministry of Agriculture of Brazil (see in http://www.filabrasileirochicopeltier.com.br/novos/30_79/materia.html) and an international club such as FCI of Belgium, which is not official either, much less exclusive, since there are at least three more world clubs that register dogs independently (The Kennel in England, AKC in the USA and another club named also FCI based in Spain), modify the innate temper of a Brazilian canine breed? 1. Do you believe this misconception is it just a serious translation error which must be corrected immediately? 2. Do you guys think a foreign club such as the FCI of Belgium would have the power to change such a typical, striking, unique, natural and traditional characteristic of a natural animal Breed from another country, such as the case of the Fila Brasileiro? 3. Could the CBKC have agreed with this wrong translation or never noticed these changes, adaptations or serious translation mistake? 4. Since CBKC is not a recognized body and does not have any agreement with the Brazilian Government and is powerless to represent the Fila Breed, would it have authority to modify or endorse the change made by FCI of Belgium in the translation of the Standard of the Fila Brasileiro? 5. Were Fila breeders and Brazilian clubs affiliated to CBKC, like SPFB, consulted on this adaptation and/or change in the standard of the Fila? 6. What is the thought of old and new leaders of SPFB about this translation, modification and adaptation? 7. Was SPFB consulted by CBKC in 2004 about these changes in the Fila Standard made by FCI of Belgium? 8. Do you prefer the traditional Temperament of the Fila or their current modification and adaptation to European needs? 9. Can a Fila without the traditional “ojeriza” or even “aversion” be considered a Pure example of the Fila Breed or not? 10. What is more valuable: the original Standard in the original language of the country of origin of a canine breed or their translations into other languages, even with mistranslation and serious mistake? 11. If the Standards have different translations, which is the correct Standard? The Standard produced by the natural country of the Breed in question or the translation in the official languages used by FCI of Belgium? 12. The docility used in the translation, misguided or intentionally, reduces and suppresses the typical temperament of the Fila Brasileiro benefits Filas of Pure temperament or the “ Filas-mestizos” of docile temperament, similar to those of the three Breeds used in the miscegenation and mentioned above? I would greatly appreciate it if you guys could help me answer the above questions. But please, leave aside the breeding passion and the club connotations. The Pure Fila Temperament is a very important issue for all Filas, breeders, clubs, leaders and judges. My proposal and aim with this article is to try to understand what led FCI of Belgium to completely modify the inborn and typical temperament of the Fila Brasileiro. And find out if CBKC was part of this modification or was unaware of it until now. Certainly I know the thought of all members of CAFIB about Fila’s temperament, especially with regard to strangers, which is the simple spontaneous feelings of “ojeriza“, especially because the cafibeans follow the CAFIB Standard. But really, I do not know what most of the breeders of Fila-CBKC as well as their leaders think. Let us not forget the breeders of Fila-CBKC in Europe. I would really love to know the thought. — “Fila Brasileiro that has only “indifference and mistrustful” and not the traditional “ojeriza” or “aversion” to strangers, certainly does not have the temperament characteristic of the Fila, but, rather, the temperament of a cat. That’s right: cats are traditionally indifferent and mistrustful toward strangers… Will the breeders of Fila-CBKC accept and follow this wrong Standard? “. Since I believe that this conscious change or serious translation error, surprisingly coming from a serious and renowned translator such as Raymond Triquet is a very grave fact, I hope that the breeders of Fila-CBKC, SPFB and especially the CBKC and FCI of Belgium will not omit themselves and will certainly help us a lot to clarify this issue with so many pending questions. Note: as I have always done with all emails sent in the past, this email was also forwarded first to those in charge of FCI of Belgium and CBKC. Hoping that my doubts are clarified, I wish everyone a good day.